Product #5996 | SKU CYS-105 | 0.0 (no ratings yet) Thanks for your rating! The Hosa CYS-105 Hosa 1/4'' to 1/4'' Cable (5ft). 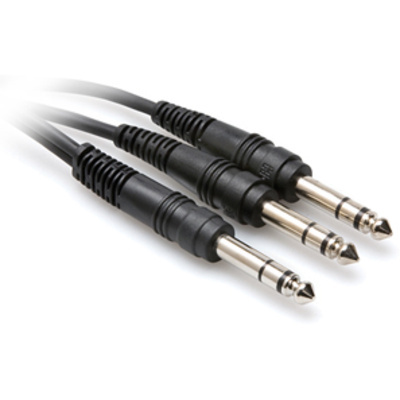 This cable is designed to duplicate a stereo signal. It may be used to connect a balanced phone output to two balanced phone inputs.